Pet Dental Care | Why is Dental Care Important for Pets? Just like humans, dogs and cats get plaque that builds up on their teeth. Humans take many positive actions to prevent this, like brushing and flossing. Your pet needs preventive dental treatment too! With your pet, if the plaque isn't removed from the teeth, it hardens into Calculus. The bacteria within this substance cause gingivitis, which is a reversible irritation of the gums. This is the time to have your pet's teeth cleaned by your veterinarian. If regular home dental care and regular cleanings by your veterinarian are not done, gingivitis can rapidly progress to periodontitis. Your pet may not show signs of dental disease regardless of severity. Periodontal disease is the most common source of oral pain in dogs, especially small breeds. And you can SMELL it better known as "doggie breath". There is bacteria under the gums causing the odor. Recent studies suggest that the healthier the mouth, the heathier the pet. 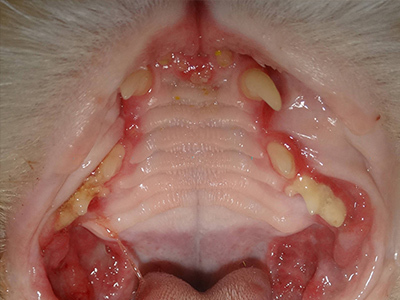 Gum disease (gingivitis and its more severe counterpart, periodontitis), left untreated is the most diagnosed disease in cats and dogs. Gums disease means bone loss. And that means pain. By the age of 4 years old, 80% of dogs and 70% of cats willshow signs of dental disease. More serious health problems like heart,liver and kidney disease will follow. 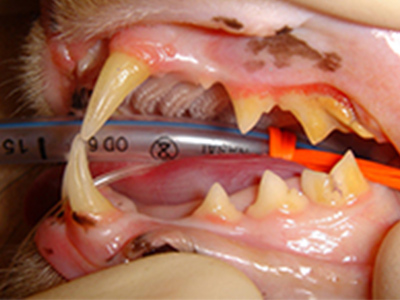 Periodontal disease is a serious problem affecting 90% of dogs over 5 years of age. This disease progresses as the bacteria attach the gums, ligaments and even the bone that help support the teeth and keep them in place. The bacteria will be released into the blood stream as the dog or cat eats and swallows. Once in the blood stream, it can travel throughout the body and can cause infections in the kidneys, the liver, and even the heart. As the pet's body constantly fights the bacteria, it can weaken the immune system and leave them open to other infections and problems. We believe pet owners make a big difference in the quality of their pet’s life with professional dental cleaning and daily teeth brushing. At Jefferson Animal Hospitals, we offer routine, preventive dental care for pets and advanced dental care for pets (oral surgery). 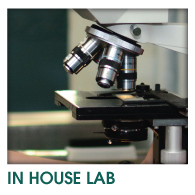 For more information about each procedure, please visit our dental care pages.